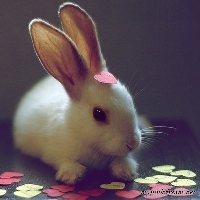 I love animals and our two current bunnies were adopted around Valentine's Day. When we celebrate they celebrate too and I want to include you by sharing Valentine animal images. Bring on the animal love!